Keeping track of your pension can be difficult at the best of times, and if you have multiple pots it can seem nigh on impossible. Fortunately, we have some top tips to help. First introduced in 2012, auto-enrolment made it compulsory for UK employers to automatically enroll their staff into a pension scheme, unless they opt out. However, according to financial services firm Hargreave Lansdown, £600 million is being lost from this scheme each year. This is because every time you change employer, you receive a new pension pot. 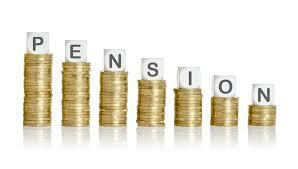 Each time you start a new pension pot, you are charged between £20 and £80 in administrative fees. With the average worker changing jobs 11 times, over the course of a lifetime that adds up to a substantial sum. Avoid having more pension pots than necessary. If you change employers, see if you can transfer your old pension across to the scheme in your new workplace. Sometimes employers will be happy to make contributions to your existing pension pot. If so, you can keep that one going and avoid any extra charges. Be mindful of where your money is. Never take for granted that the default fund your employer provides is the best one for you. It is important to see if your hard earned pension pot could be growing more elsewhere. There’s a chance you might be able to stake out a pension fund with fewer charges or a better investment return than your employer’s default pot. Remember to notify pension companies if you move house. If you have multiple pension pots, it is easier than you think to lose track of a pension fund, especially if the company can no longer contact you. Use the government’s pension pot finding service. Luckily, the government has an online service that allows you to find contact details for your own workplace or personal pension scheme. You can access this here. Check back through your paperwork. The majority of pension providers send an annual statement that includes the current balance of your pension, plus a projection of how much your pension will be worth when you reach retirement age. There’s a chance you might have held onto these and they may be lurking at the bottom of your filing cabinet. When you find the right document, you can contact the pension provider to update your details. Get in touch with your old employers. If you think you have lost a pension pot, get in touch with your old employers straight away. They should be able to help you find the details of any lost pension. Keeping track of your pensions can, at times, feel overwhelming. We hope that our pension top tips help you manage your pensions and maybe even save you some money. what makes seeing a financial adviser like having an MOT? 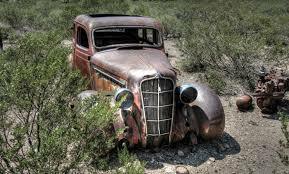 We’re all used to taking our cars for their MOT, aren’t we? Before we book it in for the test, we may well get a mechanic to check the vehicle over to make sure it will pass with flying colours. It’s a useful time to put in new brake pads, check the suspension and make sure the lights are all in working order. This got us thinking that in some respects, our finances are no different to a car. They too could often benefit from a bit of fine-tuning from time to time to ensure they’re running at optimum performance and that our investments are working as hard as they might. Of course, it’s a legal requirement to make sure our cars are roadworthy but there’s no such law for our money – it’s just up to to the individual to make sure your finances are maintaining a high level of performance. This is why it can be worth asking a financial adviser for a financial MOT or healthcheck. It’s an opportunity to not only check what you already have in place but to also consider ‘new parts’ you may want to install. It’s all too easy, for example, to think your pension will just grow at its own speed and not pay it much attention. By enlisting the help of a financial adviser, though, you can check your pension fund is invested in a way that is getting the best return for you. Investment group, Bestinvest, has stated that twenty six of the top funds in the UK, containing £6.4 billion, are badly underperforming, and have been doing so for three years. In fact, at times, they have failed to meet their targets by over 5 per cent. An adviser will be able to monitor the situation and, if necessary, transfer your savings into better performing funds. Another ‘new part’ you may decide to investigate may be insurance. You could already have life assurance in place but realise you don’t have any critical illness cover and are leaving you and your family exposed if you experienced a serious health setback. Or you could review your savings and realise you’re not making the most of your potential tax-free returns through the various ISA products available. Whatever your particular situation, maybe it’s worth booking yourself in for a financial MOT to make sure your finances are fit for your current circumstances. Posted in Financial Advice, Financial PlanningTagged advice, concept financial planning, financial planning, fontaine, pascale, paul, richardsonLeave a Comment on what makes seeing a financial adviser like having an MOT? 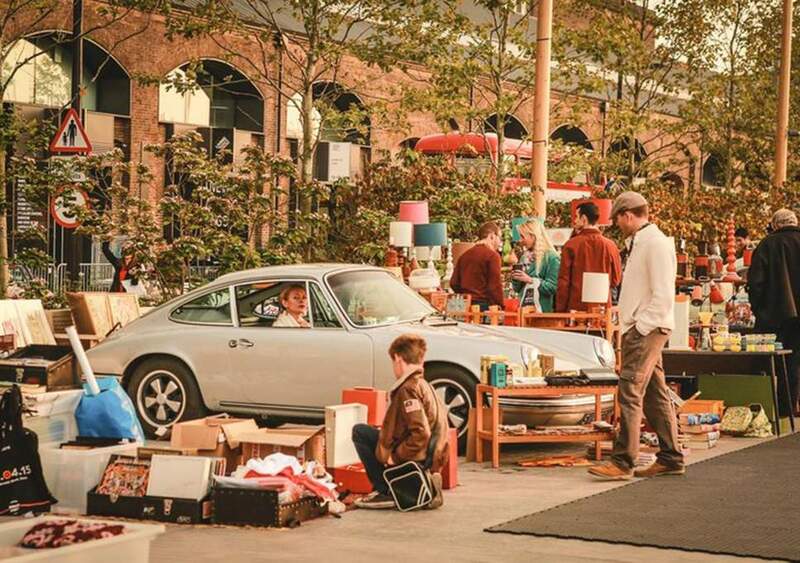 When it comes to a robust investment plan, rooting around for hidden treasure at car boot sales can’t really be held up as particularly reliable. 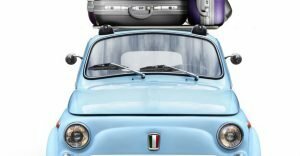 However, there are plenty of examples of people picking up bargains from a car boot which have gone on to make them a considerable profit once their true value has been realised. One case highlighted a diamond ring which was bought for £10 in the 1980s at a car boot sale in Isleworth, London. The owner believed it was simply a piece of costume jewellery, mainly due to the fact that it was cut in an older style and therefore didn’t sparkle in the same way as modern diamonds, and had worn it daily since buying it. However, once it had been identified as a genuine 26 carat gemstone, the diamond was expected to make £350,000 at auction and eventually sold for almost double that amount – £650,000 – at Sotheby’s. Another car boot purchase for just £10 was a Chinese floral vase. The buyer initially put it on eBay, but when they received bids up to £10,000 they decided to withdraw it from the internet auction site to seek a professional opinion on the piece. It turned out to be a rare enamel vase made in the 18th Century and was given a guide price of £30,000. When it finally went under the hammer, it made over twice as much, selling for £61,000. A cartoon by British artist HM Bateman was another car boot find which ended up making a sizeable profit, but only after sitting under the buyer’s bed for two years. The frame became broken when they moved house, so instead of repairing it, the buyer simply stored it away. When they finally rediscovered it and researched just who it was drawn by, it was eventually given an estimated auction value of between £500 and £800, eventually selling for £1,100. Not bad for a picture originally bought for £2! So, whilst it’s not a good idea to place all your financial plans on making your fortune selling a long lost antique purchased for a few quid, maybe sifting through trestle tables on a Sunday morning is more worthwhile than you might initially think. The bank of Mum and Dad’ will lend enough money to the next generation of UK homeowners in 2018 to make it the equivalent of a top 10 Mortgage Lender. 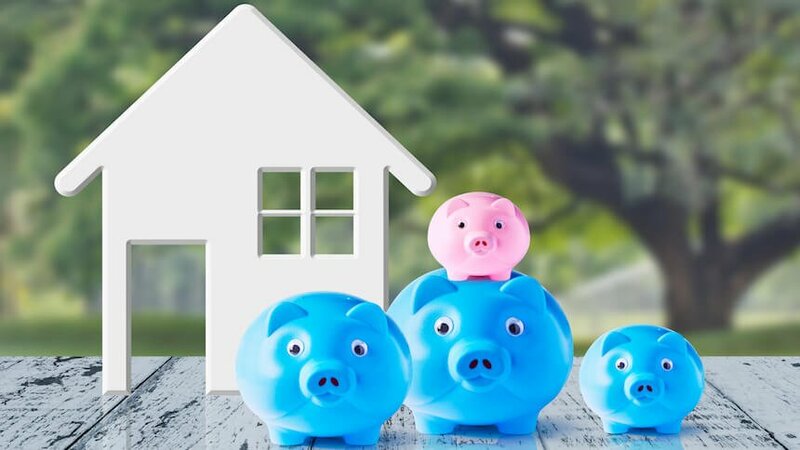 With £5.7bn expected to be handed over to help family members get a foot on the property ladder this year, you could be excused for thinking that things were on the up. Everything is relative, however, and when compared to 2017’s enormous lending figures of £6.5bn, the numbers tell a different story. L&G are still expecting more than a quarter of home buyers to be getting financial assistance from relatives, with the amount actually seeing a small increase from 25% to 27%. So with close to 317,000 housing transactions expected to take place with parental help this year, how do we account for the £800m drop in lending? The short answer is that, due to the current position of the economy as a whole, people are feeling the pinch. Although the sheer volume of individual transactions is increasing, the amount lenders are able to provide is going in the opposite direction. In 2017, the average contribution was £21,600, in 2018 that figure is expected to be down 17% at £18,000. Interestingly, although unsurprisingly, this is a regional phenomenon, with a higher percentage of buyers in London (41%) receiving help from their relatives.The age of the buyer also affects the likelihood of lending, but by no means is it exclusive to younger buyers. Three in five under-35s are expected to receive help, but so are 20% of those between the ages of 45 and 55. We’re also seeing a growing trend of parents ‘gifting’ their children money that they would otherwise have received years later through inheritance. Not only does this make the money less likely to be liable to inheritance tax, it also means that the buyer can get on the property ladder earlier and thus avoid future increases in house prices. For many in financially comfortable positions, this may well be an avenue worth considering. Posted in Financial Planning, Mortgage, Paul Richardson, UncategorisedTagged advice, concept financial planning, fontaine, mortgage, pascale, paul, reigate, richardsonLeave a Comment on Is the bank of mum and dad ‘feeling the pinch’? Following the financial crisis of 2008 when a number of big British banks came close to collapsing, the Financial Services Compensation Scheme (FSCS) was strengthened by the government. As such, the FSCS 100% guarantees the first £85,000 of a person’s cash savings per banking licence in total, including interest. This means that a couple with a joint account holding up to £170,000 will have every penny of this covered. But what does ‘per banking licence’ mean? Simply put, one banking licence can cover a number of different banks, building societies or brands. It’s important therefore to spread your cash across more than one provider, as it could mean some of your hard-earned money isn’t as safe as you think in the event of a future collapse. With that in mind, below is a list of the biggest banks and building societies in the UK and all the brands which fall under their banking licence. That means if you hold more than £85,000 across different brands but under the same licence, you could be in a position to lose out should the worst happen. *HBOS was acquired by Lloyds Bank, but both HBOS and Lloyds Banking Group have continued to operate under separate banking licences. **NatWest, Ulster Bank and Coutts are all subsidiaries of RBS, but have their own separate banking licences. As such, someone with accounts in each of these banks would be covered for up to £85,000 in each bank. Money saved in accounts and products offered by Government-backed National Savings & Investments (NS&I) enjoys 100% security (although these products are not protected by the FSCS). This includes premium bonds. Posted in BankingTagged advice, business, concept financial planning, fontaine, pascale, paul, richardsonLeave a Comment on who owns your bank? 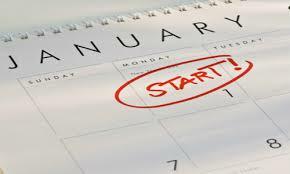 Whether or not you’re the kind of person who sees the start of January as the time to set yourself resolutions and stick to them, the period after the excesses of Christmas and New Year is arguably one of the best times to actively get your finances into shape. Here are five great money-related resolutions it’s definitely worth committing to in order to make 2018 the year you take control of your money. Start a budget – The secret to financial security isn’t making lots of money, but sensibly managing the money you have. A budget is the best way to start doing this, ensuring you know where your money is going and sticking to the plan you lay out for yourself. It can feel intimidating at first if you’ve never budgeted before, but it will undoubtedly help you to cut out overspending and reduce your money worries. Manage your debt – Getting out of debt can seem a long way off if you don’t make plans for how you’re going to become debt-free. There are no shortcuts – it takes both time and sacrifice – but once you do manage to clear your debts completely, it’s a liberating feeling and opens up many more opportunities to help you grow some savings. Start saving regularly – Once you’ve got your debts and spending under control, building your savings is essential. You should aim to save at least 10% of what you earn every month. Again, you may have to make a couple of sacrifices here and there in order to do this, but when you have those savings earning you money in your nest egg, missing the occasional night out or frivolous treat will feel completely worthwhile. Increase your financial knowledge – This can be as simple as finding a book, magazine or reputable website and dedicating a little time each week to increasing your money know-how. Anyone who has financial security hasn’t done it through luck, but through understanding what to do with their money, so the more you learn the more secure your finances are likely to be. Start investing – Making some sound investments is often the crucial step from financial security to prosperity and success. However, you should only invest when you’re ready (i.e. once you’ve achieved the previous four goals). It’s worth getting good independent financial advice as well to ensure you make the right investments for your personal circumstances. 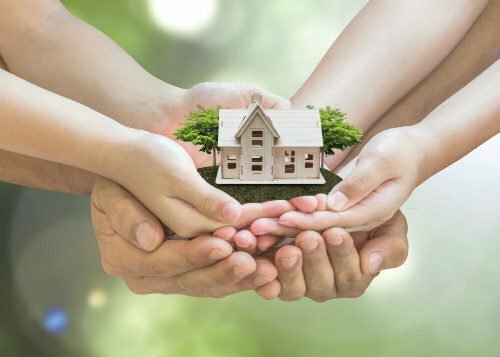 Changes to inheritance tax (IHT) came in earlier this year, affecting the allowance for those wanting to pass on their home to members of the family. But as the changes are being rolled out over the next few years up to the 2020/21 financial year, it can be hard to know if and how the changes will affect you. The current amount you’re able to leave in your estate without incurring IHT is £325,000, known as the nil rate band (NRB). Anything above this amount incurs 40% tax, with certain exceptions, such as gifts to charities, being able to lower that percentage. Any transfers between spouses or civil partners are exempt from IHT even if your estate exceeds the NRB, with married or civil partnered couples having £650,000 – twice the NRB limit – to offset against their combined estate. Introduced in April this year, the residence nil rate band (RNRB) adds a further £100,000 to the NRB. This will then increase by £25,000 each year up to 2020/21, when it will reach £175,000. Each person will therefore have a maximum allowance of £500,000, with surviving spouses having an allowance of £1 million to offset against IHT when their partner’s allowance is transferred to them. The RNRB differs from the NRB in that it doesn’t apply to lifetime transfers, such as transfers into trusts or gifts given by an individual within a period of seven years before they died. This means that whilst the NRB could potentially be consumed through gift-giving in the last seven years of a person’s life, the RNRB would still be fully available. Back in 2015, when the RNRB was first discussed, there were concerns over discouraging older couples from downsizing or selling their home to move in with a relative or to residential care. Since then, however, the rules have been readjusted so that the allowance can still be utilised by those who sell up or move to a smaller home before their death, as long as the deceased leaves the downsized property or equivalent valued assets to their direct descendants. Whilst there’s no limit on how much time passes between the downsizing or property sale and death, the transaction needs to have taken place after 7th July 2015 in order to qualify. RNRB also only applies to one property which the deceased needs to have lived in at some point before dying, meaning that buy-to-let properties or those in discretionary trusts don’t apply. If the deceased owned multiple homes, personal representatives are able to nominate which property should qualify for RNRB. It’s also important not to fall into ‘the sibling trap’ – leaving a home to a sibling rather than a direct descendant such as a son or daughter, which disqualifies them from being able to use the RNRB. Posted in Financial Planning, Tax PlanningTagged advice, concept financial planning, fontaine, investment, pascale, paul, richardson, taxLeave a Comment on what does the nil rate band really mean for me?